He studied at the School of Arts in Athens. 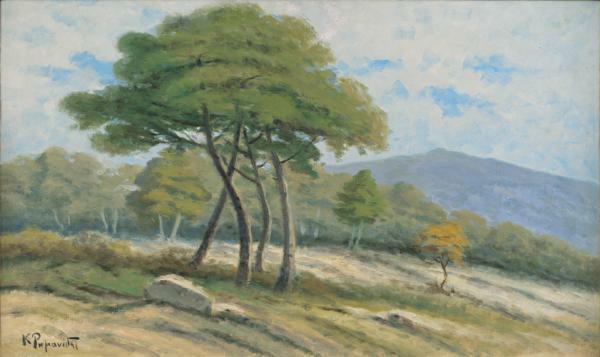 He worked as a landscape and seascape artist, and captured in some 200 drawings the militaryoperations in Epirus and Macedonia while serving as an officer in the 1912-1913 Balkan Wars. He was awarded by the Royal Academy inLondon and the Academy of Athens (1927).